When you are in the thick of things, the last thing you need is your duty belt to slow you down due to imbalance and slippage. Help keep it tight and secure with a Bianchi PatrolTek 1 ½” Liner Belt. This lightweight tactical belt is designed with the same durability as premium lines to withstand heavy-duty action. It is comfortable and affordable, all while helping ensure a balanced weight control for your gear, which is imperative to successfully performing your duty. 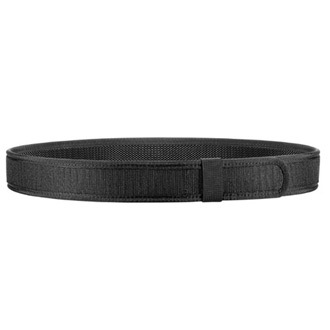 Designed to fit most tactical pants, this nylon duty belt easily attaches to the soft side of a duty belt. Binded edges give it a professional look and help keep it lasting longer. Safety and security in the line of duty can help ensure a successful campaign or assignment. Get a Bianchi liner belt now to keep your gear stable when on the move!